The Maltings Studios is a creative digital agency in Hertford, Hertfordshire, offering professional branding and logo design plus, graphic and web design, packaging and print. 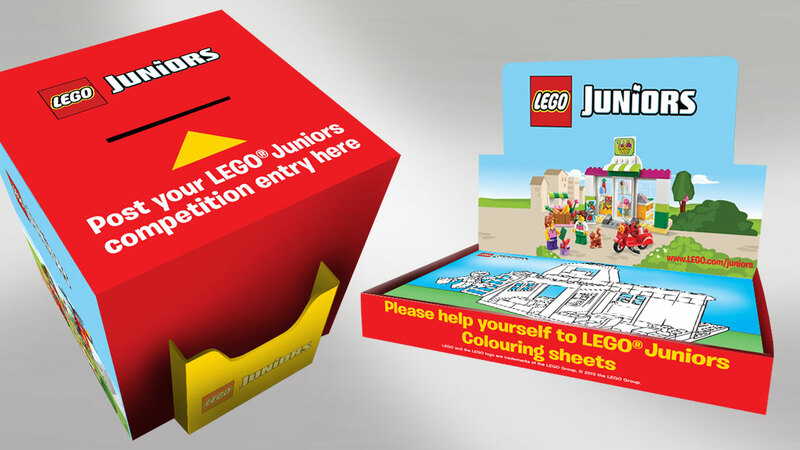 Working closely with LEGO’s PR company Crescendo PR, we produced this Lego Juniors pack for an event showcasing their range of building bricks for little ones. 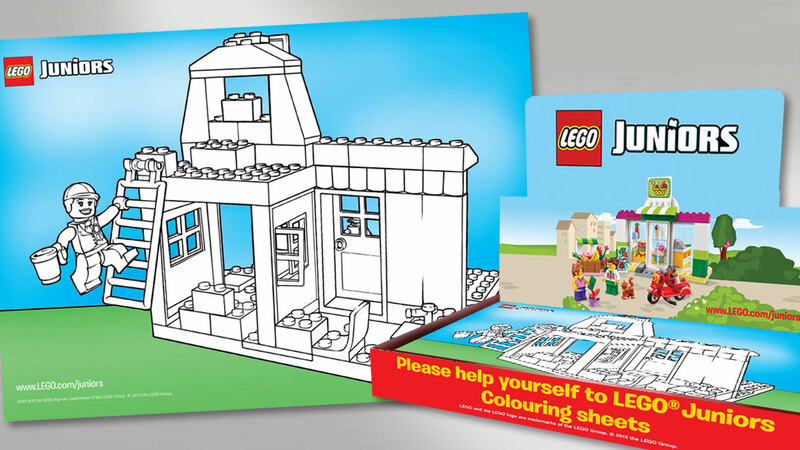 Using Lego’s imagery, we designed an A3 colouring in sheet which sat in a tray for children to pick up. It was accompanied by an A5 double sided leaflet that had a competition form as part of it. The completed form was posted into our competition box which we too designed.